Due to large number of PV panel manufacturers, there has become a variety of connectors utilised in the PV industry. You may need different leads for different jobs, and hence the reason Seaward provide different leads to connect directly into there PV100 / PV150 Installation testers. MC3 and MC4 are some one of the connectors, so don’t find out you have the wrong leads, order these today from Seaward Group USA. 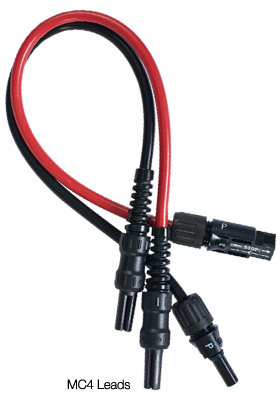 Other test leads are available upon request, so if you find a test connector that is different from the standard leads shown on our Solar PV Tools category, just let us know, and we will look to develop them for you.